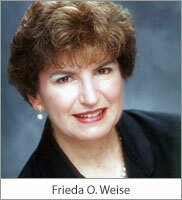 The Frieda O. Weise Gallery is named in honor of the former library director, who is an avid photographer. As a library director, Frieda’s vision for the Library was for people to see it as a community resource – a gathering place that is more than books and computers, one that invites the diverse university community to come together. As an accomplished photographer, Frieda realized the art gallery potential of the beautiful blue wall on the first floor of the Library. This wall has featured exhibits of photographs and paintings by university staff and students, as well as other local artists. Through generous donations, a professional-quality picture hanging system was installed. Donations also provide financial support for small opening receptions for exhibits and promotion of the gallery and its exhibits to the campus and local community. The Weise Gallery continues to support campus and community artists as part of an ongoing commitment to outreach and the arts. If you are interested in exhibiting or contributing to the ongoing mission of the gallery, please contact Library Administration at 410.706.7545. Frieda served as Executive Director of the Health Sciences and Human Services Library, University of Maryland from 1991 to 2003. Since her retirement, photography has become a serious hobby for Frieda. She is a member of the Bowie-Crofton Camera Club and has won numerous awards for her photography. Some of her favorite subjects include flowers, leaves, cats and barns.